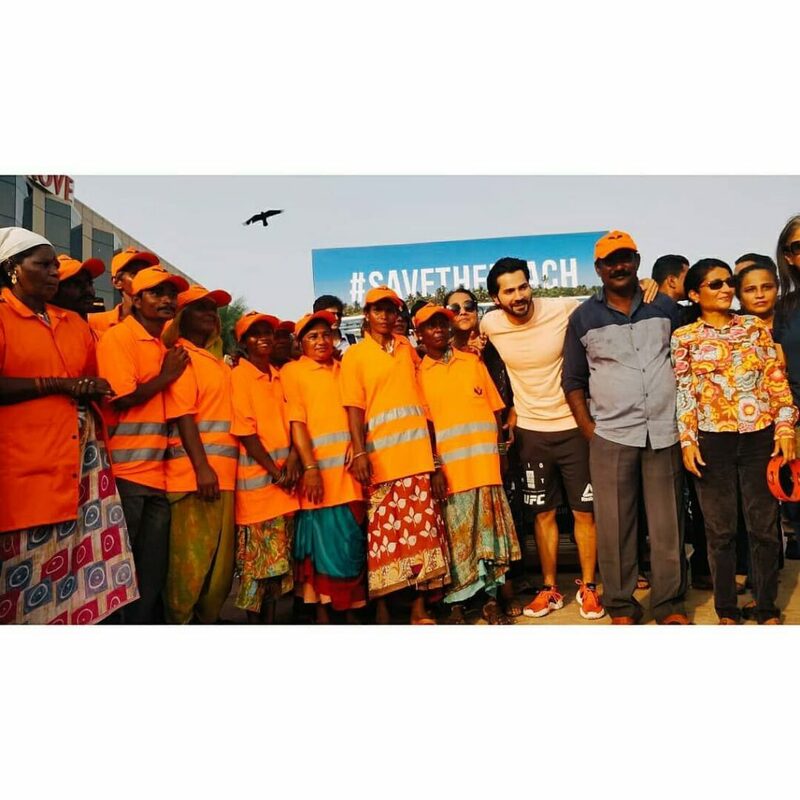 Varun Dhawan at the beach clean-up drive in Juhu on the occasion of World Environment Day. 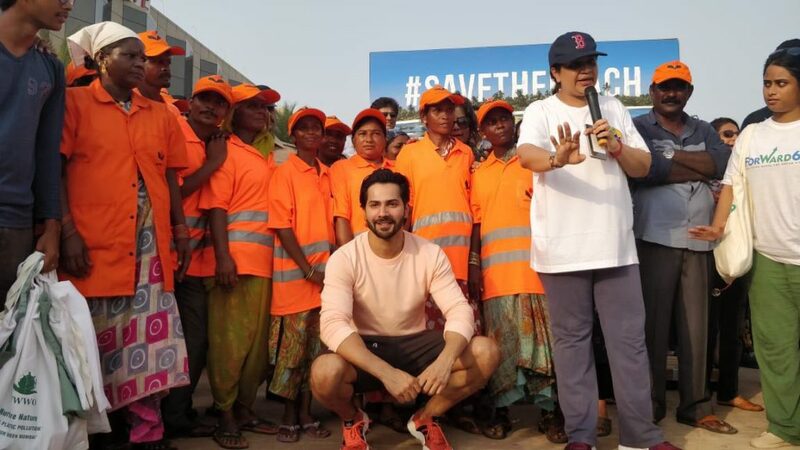 Varun Dhawan supports the volunteer group ForWard 69 formed by the residents of Juhu. 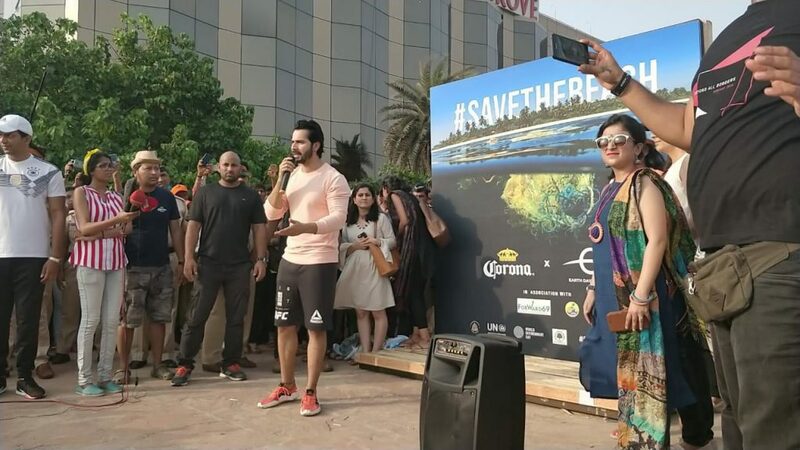 With the objective of making the area litter-free, he also spoke to encourage the youth to take up this initiative and join hands in the beach cleanup along with the citizens. 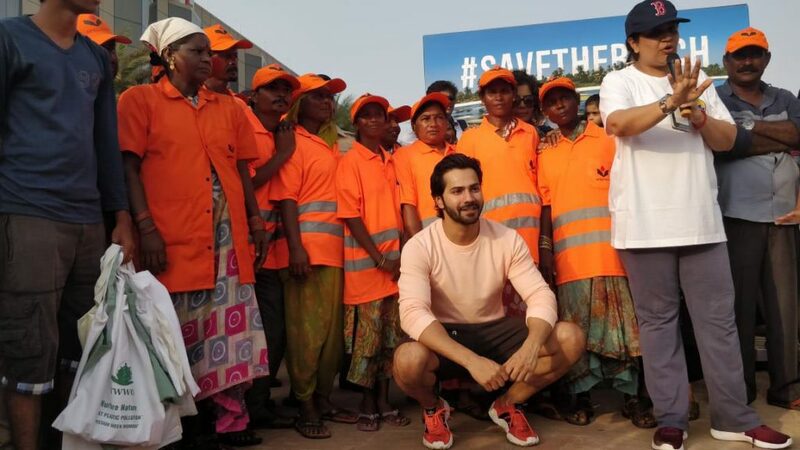 When he was approached by the group, he was glad to do his bit for the beautification of the beach. 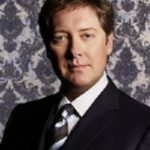 The actor hopes to bring back the beach the way it used to be during his growing-up days. 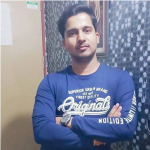 “I have spent many evening on the beach, playing cricket or enjoying gola with my friends. It pains me to see the state of affairs today. Versova beach is an example of how beaches can be cleaned if people put their mind to it. It’s time to make a beginning. 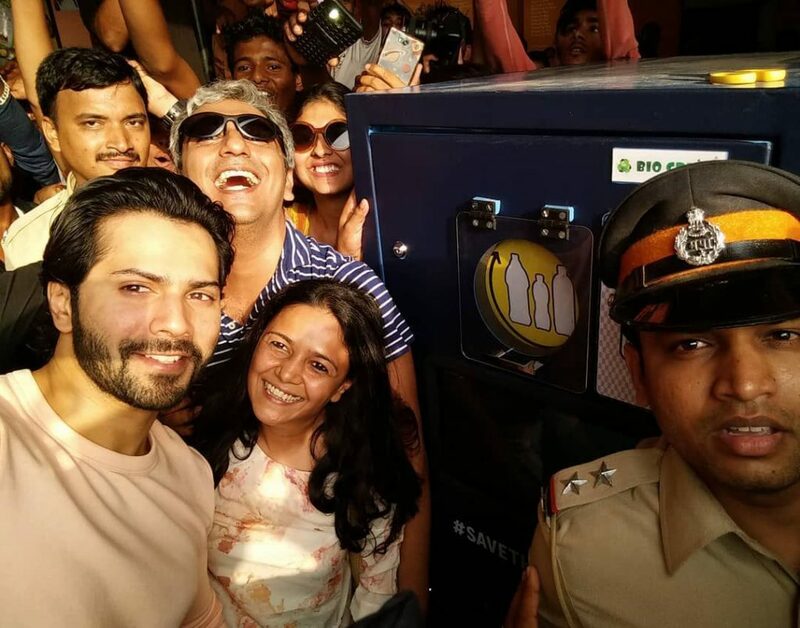 I want my newborn niece to play on Juhu beach, like we used to, as kids”, said Varun.